In at #27 on my countdown this year is the official entry from Slovenia, “Sebi” by Zala Kralj & Gasper Santi, written by the artists. The song is performed in Slovene, and will be performed 5th on the first semi-final on May 14. Kralj & Santi have been performing together as a duo for two years, and sometimes go by the abbreviated name ZalaGasper. Where to start with this unbelievably beautiful number? This lush Eurobeat ballad is damn near perfect from beginning to end. Kralj’s vocals are spot on, and Santi’s music behind her propels the song comfortably from start to finish. The video for the tune is one of my faves this year, although I wish it had a bit more explanation to it, since the song is in their native language. Translated, the song is titled “To Yourself” and is basically a message from one person to another that says, paraphrasing here, believe in yourself, but if things go wrong, I’ll be there for you. The video uses imagery of airplanes to convey that dreams never die out, as we see first a little boy, and then a teenager, and finally the current man (Santi), playing with a cherished and obviously meticulously cared-for toy airplane, juxtaposed with imagery of woman on board a Lear jet (Kralj) and a drone. It’s start, simple, full of metaphor, and utterly gorgeous to look at. The problem here is that songs like this rarely if ever make it past the semifinals. Every year I’ve been watching Eurovision now – since 2016 – there’s been a great lush ballad like this, often in a language other than English, that has utterly captivated me from the performance, but have failed to make it to the grand final. I fear this song will do the same, but if it makes it through, I’ll be happily surprised and cheering it on, that’s for sure. Slovenia made their debut in EuroVision in 1993, and have participated 24 times since, missing 1994 and 2000. Their best showing has been seventh place, which they’ve managed twice, in 1995 and 2001. They have missed the final ten times overall. Last year’s entry, “Hvala Ne!” by Lea Sirk, finished at #22 in the grand final. In at #28 on my countdown this year is the official entry from Ireland, “22” by Sarah McTernan, written by Janieck van de Polder, Marcia Sondeijker, and Roel Rats. The song is performed in English, and will be performed 2nd on the second semi-final on May 16. Originally interested in being a nurse, McTernan went on to study music technology at the Limerick Institute of Technology after finishing high school. She entered the blind auditions for season four of The Voice Of Ireland without any previous performing experience; not only was she chosen to be a part of the show that season – all four judges turned their chairs around – she went on to finish in third place and has been in the public eye ever since. She entered a song, “Eye of the Storm” as part of an online vote to be 2018’s Eurovision song for the tiny enclave of San Marino, but it wasn’t chosen. She was quoted at the time as saying, “Obviously you want to represent your own country but this is a massive opportunity, it would be amazing to be part of the Eurovision.” Well, this year, she’s made it. McTernan has a lot to live up to – last year’s entry from Ireland, “Together” by Ryan O’Shaughnessey, slowly grew into a huge fan favorite over time thanks to it’s heartrendingly beautiful video, and took the country back to the grand final for the first time since 2013. This year, this little lost love song has more happy memories going on in it, which is a nice change of pace, and I utterly ADORE McTernan’s voice; her smoky, smouldering sound on this song is perfect – she’s got a lot of Adele in her, and a little Amy Winehouse as well, and it pulls together nicely. The performance video is also playful and fun. But there’s so much that’s good this year that she could get lost in the pack. Here’s the official music video…enjoy! In at #29 on my countdown this year is the official entry from Belarus, “Like It” by ZINA, written by Yulia Kireeva, Viktor Drobysh, and Zinaida Kupriyanovich (the full name of the artist). The song is performed in English, and will be performed 8th on the first semi-final on May 14. At just 16, ZINA is the youngest of this year’s Eurovision competitors, but she’s no novice to show business; she’s twice competed for the chance to represent her nation at the Junior Eurovision Song Contest, but missed out on the win both times. She’s also a veteran of Russia’s Star Academy franchise series Fabrika Zvyozd, where she finished third during the tenth season, and an accomplished voice actress, providing the Russian voiceover for the title character in Disney’s Moana and also the character’s appearance in Ralph Breaks The Internet as well. This is a good little dance ditty, coupled with a bit of acoustic guitar, almost in a flamenco-style, which adds a little off-kilter flair to an otherwise typical Eurovision-style dance entry. Zina is a very likeable performer, and her look in the Belarusian competition reminds me of early Britney Spears. All in all, it’s not a bad little song, and if the fan community gets behind it, it could do far better than most think. Belarus debuted in the EuroVision contest in 2004, making it one of the more recent participants; they have participated fifteen times thus far. Their best finish to date was sixth place, with “Work Your Magic” by Dimitry Koldun in 2007. They have qualified for the final only four times since the semi-final round was introduced in 2004, including last year, when their top notch entry, “Forever” by Alekseev, was scuttled first by an outlandishly creepy, serial-killer-weird music video and then by a poor live performance at the semi-finals. In at #30 on my countdown this year is the official entry from Sweden, “Too Late For Love” by John Lundvik, written by Lundvik, Anderz Wrethov, and Andreas “Stone” Johansson. The song is performed in English, and will be performed 8th on the second semi-final on May 16. Born in the UK and adopted at one week old by his Swedish parents, Lundvik grew up in London until age six, when his family moved back to Sweden. He’s had a successful music career which launched in 2010. In addition to singing and songwriting pop and R&B style tunes, he’s also scored for film and television, including the film Easy Money and the hit US television series Empire. Sweden has been active in EuroVision since 1958, sending 58 songs to the contest. They have topped the Grand Final six times, first in 1974 with the song that was voted EuroVision’s all time Grand Champion on the occasion of the contest’s 50th anniversary, ABBA‘s career launching “Waterloo“; and also with “Digga-Loo Diggi-Ley” by Herries, 1984 ); “Fangad av en stormvind” by Carola, 1991; “Take Me To Your Heaven” by Charlotte Nilsson, 1999; “Euphoria” by Loreen, 2012; and “Heroes” by Mans Zelmerlow in 2015. They have made almost every final in the last decade, missing only in 2010. Here’s the official music video…what is so over the top special about this song? Please tell me! In at #31 on my countdown this year is the official entry from the Czech Republic, “Friend Of A Friend” by Lake Malawi, written by Jan Steinsdoerfer ,Maciej Mikolaj Trybulec, and Albert Černý. The song is performed in English, and will be performed 6th on the first semi-final on May 14. Czech Republic debuted in Eurovision in 2006, but have only participated seven times since then; they withdrew for several years after failing to place a single song in the Grand Final. 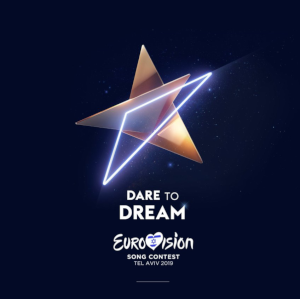 In fact, they have made the final just twice, with “I Stand” by Gabriela Guncikova, which finished 25th out of 26 songs in 2016, and the aforementioned abomination “Lie To Me” by Mikolas Josef, which finished sixth (SIXTH? ARRRRRGGGGGHHH!) in 2018.